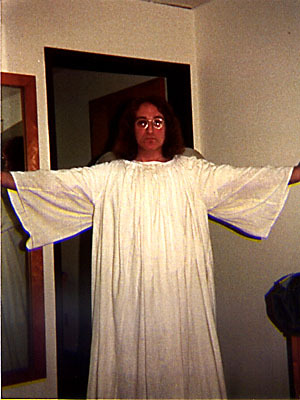 If you're ever in Los Angeles, CA, don't have a heart attack if you think you see John Lennon walking down the street. 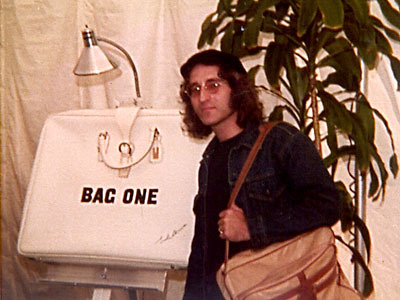 No, not the actual John Lennon (of course), but someone who bears a striking resemblance. His name is Steve Greene and he has been blessed (or cursed depending on your point of view) with one of the most recognizable faces of this century. In the spring of 1981, I had been living in Los Angeles for three years (originally from New York City). My mother was working for an optometrist in Hollywood, when one day, a woman came in and wanted some wire-framed glasses. It turned out that the woman was the wife of the world-famous Australian sculptor, Brett Livingstone-Strong (good name for a sculptor, eh? 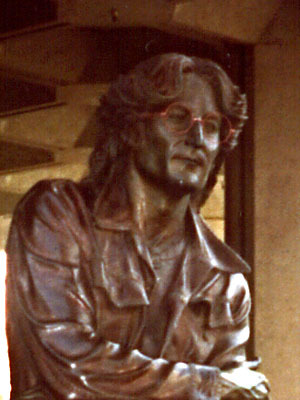 ), and he needed the glasses for his work-in-progress of a life-size bronze statue of John Lennon. When me Mum mentioned that she had a son who looked John, it was arranged for me to visit the artist's studio. After being dumb-founded by the appearance "in person" of his subject, he showed me a clay bust he was working on. It did resemble John quite a bit, but somehow, something was lacking. So anyway, they used calipers to measure every inch and all the nooks and crannies of my face and incorporated the measurements into the work. And voilà!, they had John Lennon. Several months later, the statue was unveiled by then mayor Tom Bradley at Los Angeles City Hall. In attendance were the sculptor, myself, and all the news media. I was interviewed by all the reporters and 20/20 did a piece on me. Since then, I have been an occasional professional look-alike, appearing in many shows and charity functions. The mystery now is the whereabouts of the statue? Six-hundred pounds of bronze is difficult to misplace. Difficult indeed! 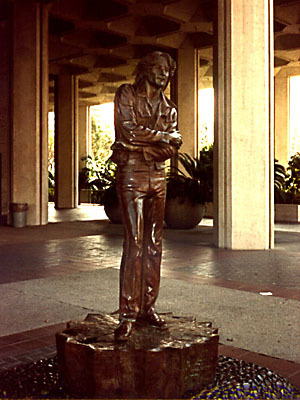 The statue was unveiled on October 9, 1981 and the original plan was that it would stand at the entrance of Los Angeles City Hall for one year. 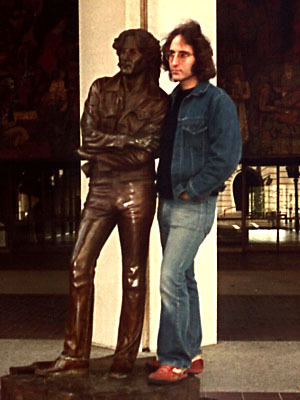 During that year, the sculptor hoped that someone would buy the statue and then donate it to the City of Los Angeles to be placed on permanent display elsewhere in the city. Strong was obligated to payback the original sponsor of the statue, but after a year and a half at Los Angeles City Hall, there was still no buyer. In order to raise some money, Strong packed up the statue and sent it on a tour of the US. After a brief visit to an art Festival in New York, the statue came back to California and was displayed at the 1983 US festival. After that, it toured Japan in 1984-85 and then Australia in 1986. In October of 1988, the statue was sold to Rock Legends Pty. Limited of Australia for $1 million US dollars (and to think Strong originally had trouble selling it for a measly $75,000). I do not know if Strong still owned the statue at the time it was sold for $1 million or whether he had sold it earlier. The current whereabouts of the statue are unknown to me, but presumably is still in the possession of Rock Legends. If anyone has more current information regarding this statue, please contact Steve Greene or myself. It must be really strange to look like someone as famous as John Lennon. 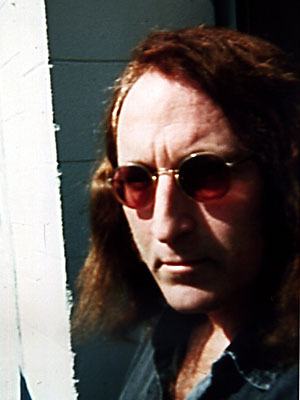 People would often think Greene really was Lennon. "They'll be talking to me and then realize the man's dead," he said. One Lennon fan became so unnerved that he began shaking uncontrollably. 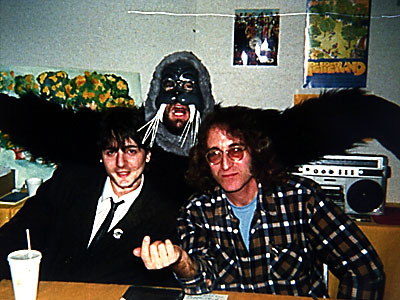 Because Greene is a big fan of Lennon and the Beatles, he never tries to desecrate Lennon's image. In fact, he feels that he is helping to keep the memory of Lennon alive and well. As if one famous face wasn't enough for one household, Greene used to be roommates with a Barry Manilow look-alike. That's one union I couldn't have imagined taking place between the real participants!